Looking for ways to make your product stand out in the crowded grocery store aisle? Watch our presentation and learn how on-pack label claims and sustainability initiatives can differentiate your product and minimize supply chain risk. This 30 minute video reviews simple, actionable steps for finding out if your business is ready for organic and non-GMO certification, the fastest growing labels in food, and explains how sustainability initiatives can help position your brand to consumers. 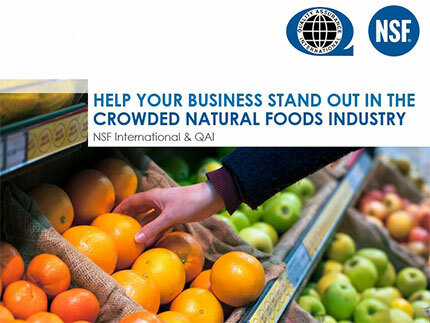 Learn how leading natural food brands stay ahead of the market and how you can scale similar initiatives for your business to reach new customers and create value for your existing ones. Got more questions about organic certification? Contact us!